The name Morellino is quite contested by those in the wine world. Some say it comes from a traditional dialect word used to describe the best horse in the pack – the “Morello” or “Morellino”. Others think the name is linked to the Italian word for dark – moro. In this case, it could refer to the dark colour of the Sangiovese grape, a bit like the name “Brunello” stems from the brown colour of the Sangiovese Grosso. The DOCG Morellino di Scansano is primarily produced in Scansano, Manciano, Magliano in Toscana, Grosseto, Campagnatico, Semproniano and Roccalbegna. To those in the know, this wine is defined as an excellent expression of the Sangiovese, the principal red grape of the Tuscan region, which grows exceedingly well in this territory. The favourable pedoclimatic conditions of the area, characterized by warm days, cooled by marine breezes at night, are what gives the Morellino it’s extraordinary characteristics of softness and noble tannins. 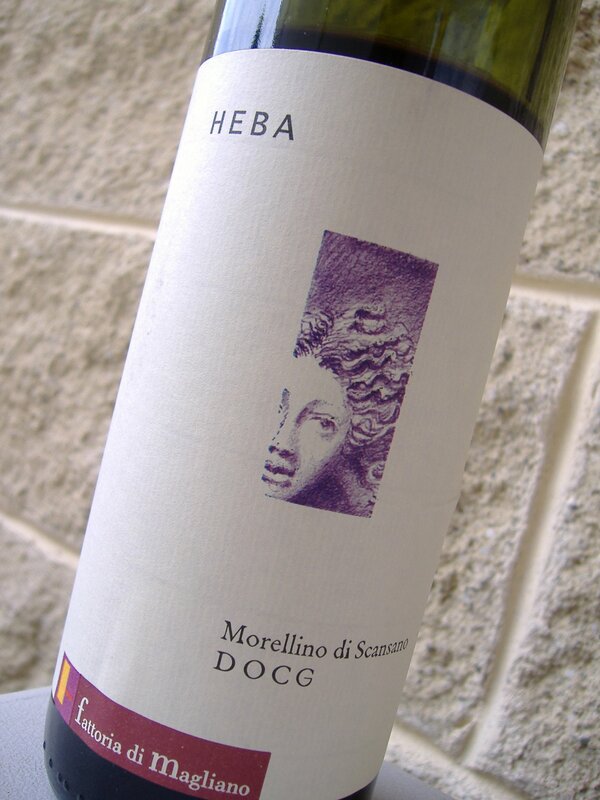 The Disciplinary of the DOC has authorized the production of two types of this wine: the Morellino di Scansano and Morellino di Scansano Reserve. It even has it’s very own festival called the Festa del’Uva. It’s held in Scansano in September and is definitely worth a look, even if you don’t drink! To be sold as a reserve, the Morellino needs to undergo a refinement of two years in which it is held preferably in an oak barrel.